Despite the situation, you must not lose hope! You must choose the best running shoes for plantar fasciitis and maximize your potential for day-to-day activities! As you go through this review, you must have noted the cause of your plantar fasciitis. It could be over pronation, misalignment from foot to knee, insufficient arch support from shoes, or misfit shoe choices. 3 What to look for in running shoes? 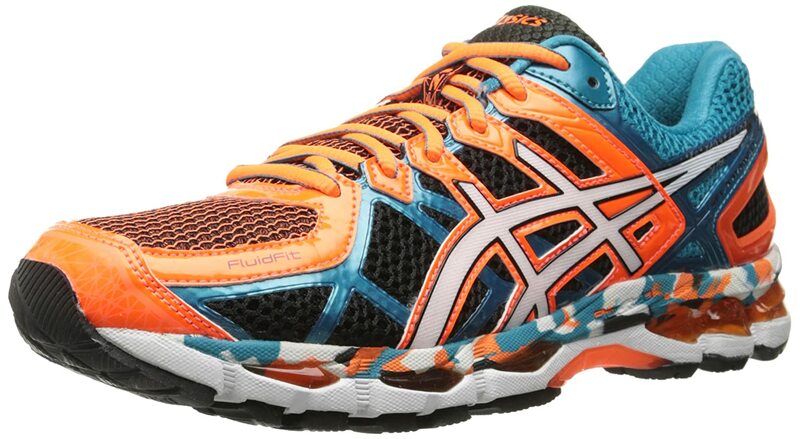 If you are an avid fan of ASICS shoes, Gel Kayano 21 managed to preserve its legacy for unmatched support and stability. On top of their legacy, they utilized the new FluidFit®, FluidRide®, and Dynamic Duomax™ Support System technology. About the new technologies, the FluidFit® upper technology adapts your feet through its multi-directional stretch mesh. Also, the FluidRide® midsole technology contributes to a reduced weight and remarkable durability of the shoes. Lastly, the Duomax™ system enhances the stability and support for your feet. Regardless of your walking or running style, this shoe can cope up with your pronation. You may be a mild, moderate, or over pronator. Despite your pronation, you will reap the benefits of an utmost comfort, more efficient athletic activity, and decreased risk of injury. Looking at the features, your foot’s natural gait is well-enhanced with the Impact Guidance System® Technology. With more concern about your gait cycle, the Rearfoot and Forefoot Gel® Cushioning Systems are responsible for mitigating shock during impact and toe-off phases. More support is provided primarily for your heels with the Heel Clutching System™ Technology. Your heels are well-supported and well-fitted for this shoe. Ultimately, moisture must not annoy you throughout your activities. With the Comfordry™ sock liner, this shoe excels in moisture management and breathability. ASICS provides extensive systems of technologies. With these mixtures of technologies, it promises wide support including people with plantar fasciitis. Both on a casual day and athletic activities, you will do great for your day with no disturbance from foot pain. New Balance manufactures its 990 series in a remarkable way. Among the series, only the 990v3 can be purchased on numerous design selections. With their quote “Created by you. Completed by us,” you will most likely prevent seeing another person with the same design as you have. No more “twin shoes” with strangers especially if you feel awkward about it. The integration of Vibram® technology drives this shoe for performance. When Vibram® is used for outsoles, you will enjoy maximum surface contact and multi-directional traction delivered by your shoes. These benefits help you grip more on both smooth and rough surfaces especially on athletic activities. This shoe uses EVA (ethylene vinyl acetate) foam midsole which helps relieve pain of runners with plantar fasciitis. EVA is a polymer with excellent resistance against stress and impact. This type of foam is often used for athletic shoes to prevent foot pains on a long-time activity. The shoe upper is composed of a delicate suede material. It gives a sportier appeal for the shoes. Moreover, it contributes to a soft contact from the shoes to your feet. Also, the forefoot of this shoe is made with blown rubber. Overall, this shoe is lightweight considering the materials are carefully picked to optimize performance, fashion, and comfort. New Balance is proud for its annual production of more than 4 million pairs of athletic footwear per year in the USA. 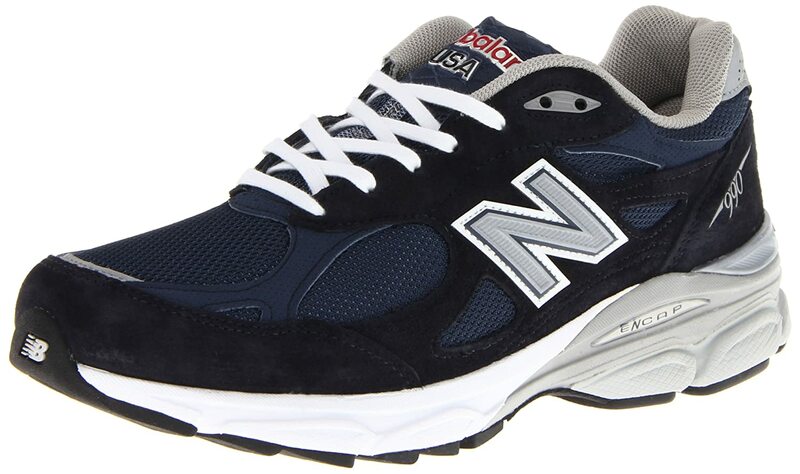 New Balance shoes are labeled with “Made in the USA” for its 70% domestic value. Walking to any destination must not fail to appease your feet. Walking without pain is made possible with the 840 Health Walking Shoes of New Balance. Through its superior cushioning and durable outsole, your feet will experience premium comfort and performance. If you have plantar fasciitis yet fond of walking around, this shoe might be your perfect match out of top brands! 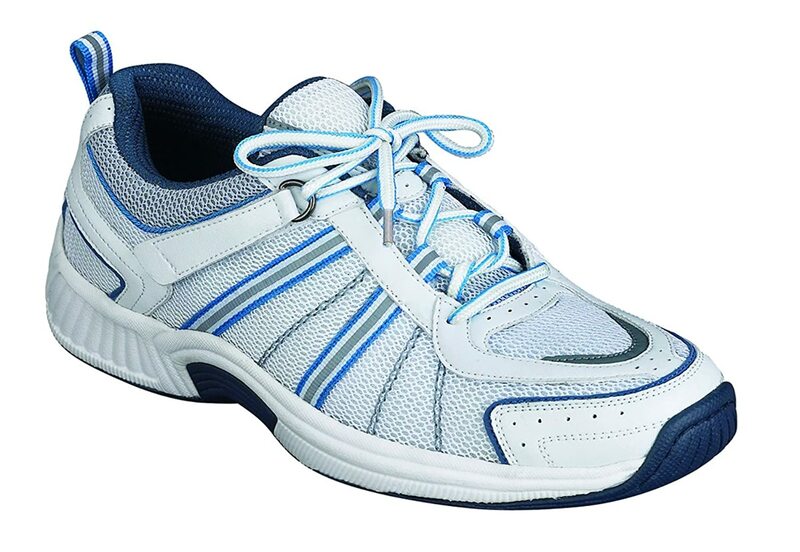 840 Health Walking Shoes is optimized for all kinds of walking. Whether you stroll in leisure or walk hastily, you will stay comfortable through its snug leather upper and blown rubber outsole. Wearing leather uppers ensure breathability to keep your feet as cool as possible despite the activity you do. Also, leather uppers have stretchable characteristics which lead to its conformity to the structure of your feet. When an outsole is made of blown rubber, it provides lighter, softer, and more flexible characteristics in contrast to traditional rubber. Thus, expect your natural gait to become more carefree and more comfortable. To satisfy more of your lightweight needs, this shoe integrates the ABZORB® technology for the midsole. If you have experienced EVA foams, you will still experience the same lightweight comfort for ABZORB®. But this time, ABZORB® is more durable than EVA foams. Also, your walking will be both soft and protective because ABZORB® dissipates shock upon impact. If you have diabetes, great news is in store for you! 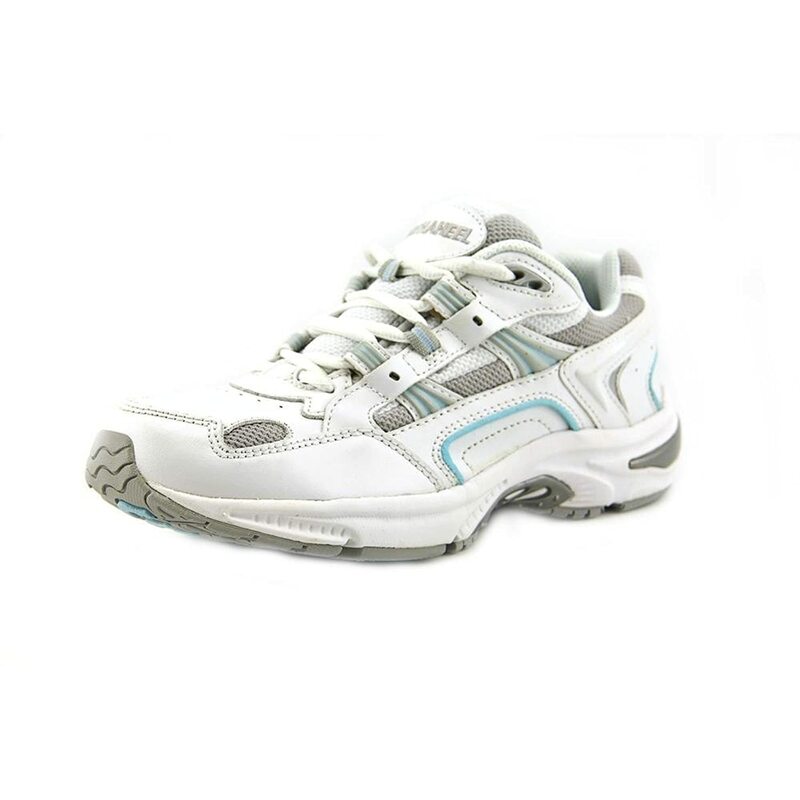 MW840 Health Walking Shoes are approved with Medicare/HCPCS Code A5500. You may be eligible for Medicare reimbursement. 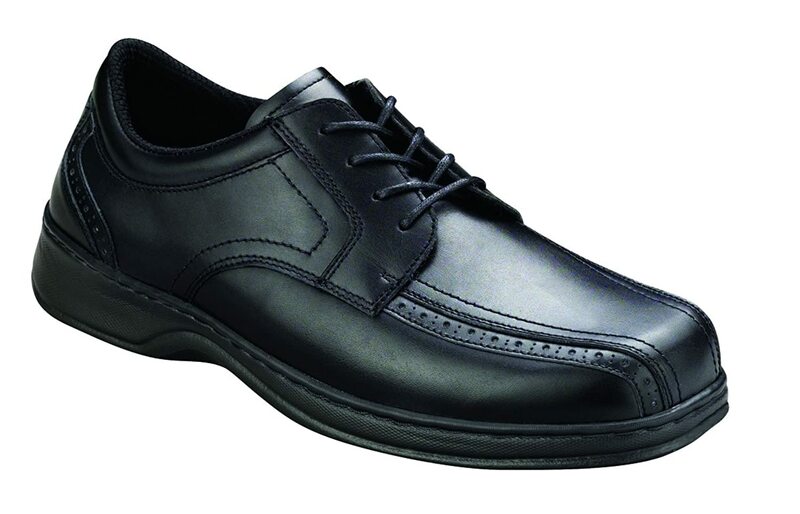 Orthofeet offers a comfortable system with its Gramercy Oxford Shoes. Through its non-binding fit, you’ll receive optimum protection against pressure points. It is designed to tolerate toe movements by allowing extra room for your forefoot. Every step you take must be soothing for your feet as this shoe are engineered to provide orthotic support. Through its anatomical orthotic insole and ergonomic sole, this shoe supports and cushions your feet well. These characteristics are commendable for people suffering from plantar fasciitis. Moreover, the orthotic support of this shoe helps relieve your foot pain from heel to toe. Your natural gait must not be compromised. Likewise, it must be easier through the lightweight cushioning of the sole of this shoe equipped with the Ergonomic-Stride™ design. All your steps are softened, and all your propel forces are supported! If you worry for blisters on a long-term usage, this shoe assures interior protection. Aside from a non-binding fit, the interior of this shoe is designed to protect your feet optimally. Through a soft seam-free lining design matched with extra foam pads and a soft, non-binding upper, pressure points are further eliminated, and friction against the skin is reduced. Misfit sizes usually flood the negative reviews of an online shoe market. To be against such reviews, Orthofeet ensures a perfect fit through an adjustable fit inside the shoe. You can choose from two sets of removable spacers: 1/16” or 1/8” thick. A perfect balance of support and cushioning makes this shoe optimized for running. Also, it is adaptable to various pronation. If you are a user of previous Adrenaline GTS shoes, you must expect more plush for GTS 16 which results in more shock absorption on impacts. When plush joins with seamless design and a dynamic fit, it makes this shoe commendable for runners suffering from plantar fasciitis. GTS 16 brings breathability and durability for your feet through the use of mesh materials for the uppers. Along with these benefits, moisture is managed well which makes your feet feel cool and dry all the time. Also, comfort is also ensured with mesh materials, especially for the inner linings. When you use this shoe, your feet will be secured and will fit well through its adjustable saddle construction. GTS 16 is adaptable to your every stride through the use of BioMoGo DNA Cushioning for its midsoles. Likewise, it incorporates a Progressive Diagonal Rollbar which prevents you to over pronate and assists you back to your natural gait. Traction must be reliable without compromising the outsole durability. Hence, GTS 16 utilizes a high-abrasion rubber to make the outsole trustworthy. Also, GTS 16 uses a full-length segmented crash pad to accommodate the impact on every foot landing further and delivers a smooth transition from heel to toe especially when running. If shoe fit is your concern, GTS 16 resolves the issue by catering various widths, from normal to extra wide. With Kinvara 7, you’ll reach farther than your usual run with an optimum comfort. You’ll experience step-up comfort with its new EVERUN treatment in the heel insert. Together with a lightweight FLEXFILM upper, this shoe offers durability and flexibility on your persevering athletic activities. It’s time to move on from pains brought by plantar fasciitis as this shoe makes your ride smoother and more comfortable than ordinary shoes. 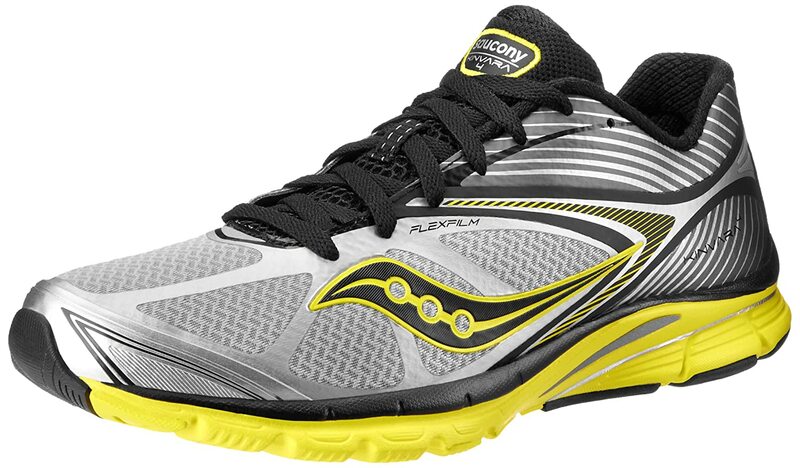 The new FLEXFILM Overlay of Saucony ensures secure and snug fit for your feet. This is made possible through a thin film attached to the uppers of this shoe. On every stride you take, the uppers give your feet a comfortable lockdown. Sufficient shock cushioning is one of the characteristics of this shoe’s midsole. Through the new EVERUN Heel Insert, energy return is efficient which yields a more flexible running experience. Also, the midsoles utilize the soft and lightweight characteristics of an EVA (ethylene vinyl acetate) foam. This foam is a great combination with EVERUN Heel Insert for higher durability and energy rebound features. The outsoles utilize the new Tri-Flex design which improves contact every time you land your feet on the ground. Since it is made of carbon rubber, traction is possible on varied surfaces. Together with the existing IBR+ Technology, the outsoles receive an enhanced cushioning. The outsole is lightweight yet remains to be durable for you to walk or run smoothly. Kinvara 7 has a good breathability. Thus, it keeps your feet dry and comfortable even on an intense running activity. Tie-less lace. Heel strap system. Securing the lace has been easier without letting you feel wearing loose shoes. Orthofeet offers a unique upper through its Tie-Less Lacing System through the use of laces with hook and loop straps. Fitting will be more adjustable for you. The Heel strap system lets you adjust the grip around the heel. Also, it incorporates a two-way strap system on both sides of the shoes for you to adjust the strap according to your preference. Regardless of your foot width, you will experience less slippage with these systems. In case you are using braces, the Tie-less lace and heel strap system enables you to use this shoe smoothly. Orthofeet never fails to manufacture products with orthotic consideration. These sprint sneakers utilize Orthofeet Gel Insole which provides superior shock absorption and support through its super comfortable arch support and deep heel cup. This innovative design offers pain relief through gel padding and soft foams. So people with plantar fasciitis will find relief for this shoe. To get rid of the unwanted smell, the insole of this shoe provide anti-microbial characteristic through the Dryplex™ fabric and PolyU™ foam. Thus, you’ll have no more worries for disturbing foot moisture. Comfortable heel cushioning and lightweight sensation are made possible through the Ergonomic-Stride™ technology. This softens all your steps and assists your foot to propel lightly. You can take a walk as long as you want with the maximum comfort and support provided by Vionic Walker Shoes. Through their Active Motion System (AMS) Technology, this shoe provides optimal support, stability, and comfort for your casual needs. Vionic shoes with AMS Technology are designed with lightweight upper, breathable textile upper, and flexible midsole cushion. Also, the orthotics of this shoe is designed by a podiatrist. Through a careful podiatrist design, this shoe receives a Seal of Acceptance from American Podiatric Medical Association (APMA). When shoes are APMA accepted, it undergoes strict review by a group of podiatrists to assure promotion of foot health. The upper of this shoe with premium full-grain leather provides an additional water resistance. Full-grain leather is known to be the tightest, strongest, and most durable leather. The liners of this shoe are made with polyester mesh which enables breathability and wicking of moisture. Also, the base of this shoe is made with polyurethane foam which reduces friction against skin. On top of these, the top cloth is biomechanically designed with anti-bacterial properties which prevent the formation of odor-causing bacteria. These features make your feet feel cool and dry without worrying about blisters and smelly feet throughout your day. To increase the stability and support for your feet, the heel counter of this shoe is made with firm thermoplastic materials. Thermoplastic materials provide high strength, high performance, flexibility, and lightweight characteristics. Lastly, to improve the traction on your steps, the outsole is made with durable rubber. Since this shoe is APMA Accepted, people with plantar fasciitis will find joy for this shoe. Foot health is a primary concern which is delivered through this shoe. On a first look, you might assume this sneaker is like an ordinary casual shoe. But this shoe has undergone clinical testing to prove its effective relief against plantar fasciitis and other known foot issues. You’ll reap the benefit of sophistication and pain relief in one pair of sneakers! This sneaker embraces the leading Orthaheel Technology. With this technology, this sneaker is biomechanically engineered to support your arch regardless of your arch type. Orthaheel Technology shoes are designed with deep heel cup for stability, innovative footbed for support, and firm yet flexible midsole for incomparable relief. Your feet will enjoy moving around whilst remaining your natural foot alignment. The footbed of this sneakers is made with dual density EVA (Ethylene Vinyl Acetate). This material stimulates shock absorption and stress reduction on your feet, ankles, and knees. Moreover, EVA materials retain the lightweight characteristic of a sneaker. Your natural gait will be more efficient by integrating the First Ray Technology to this sneakers. Likewise, the mobility of your feet is assisted more through this technology. The outsole of this sneakers is made with full rubber with basket weave. This ensures improvement for your traction. With the combinations of the said materials, you will enjoy a cheerful and untroubled walking. You will not feel pain nor worry for future blisters. 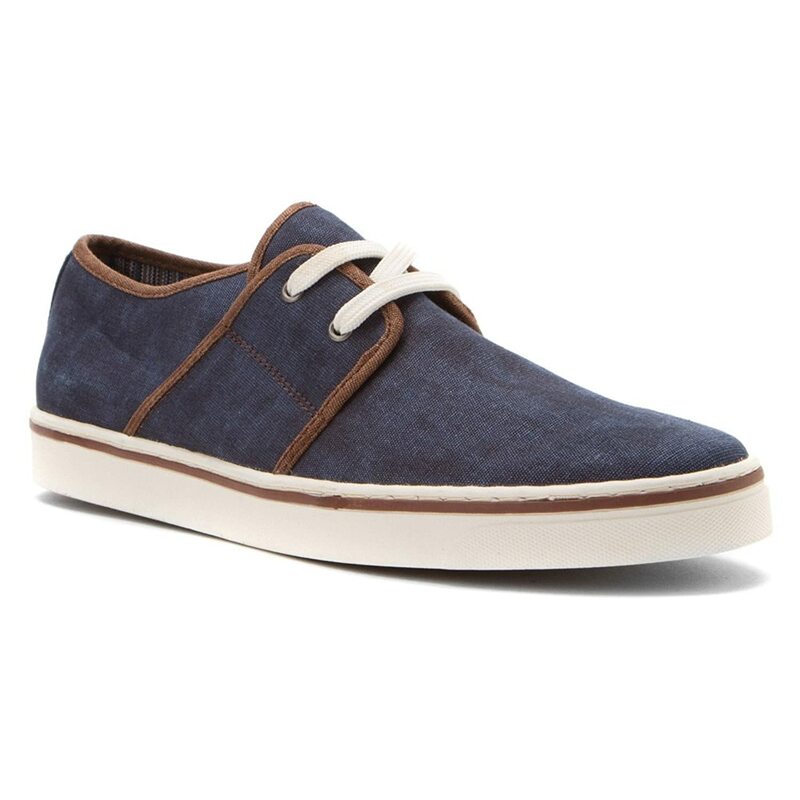 Walking as light as possible is commendable in an attractive and elegant shoe like Bryson Sneakers. The orthotics of this shoe is carefully designed by a podiatrist which leads this shoe to obtain the Seal of Acceptance by American Podiatric Medical Association (APMA). 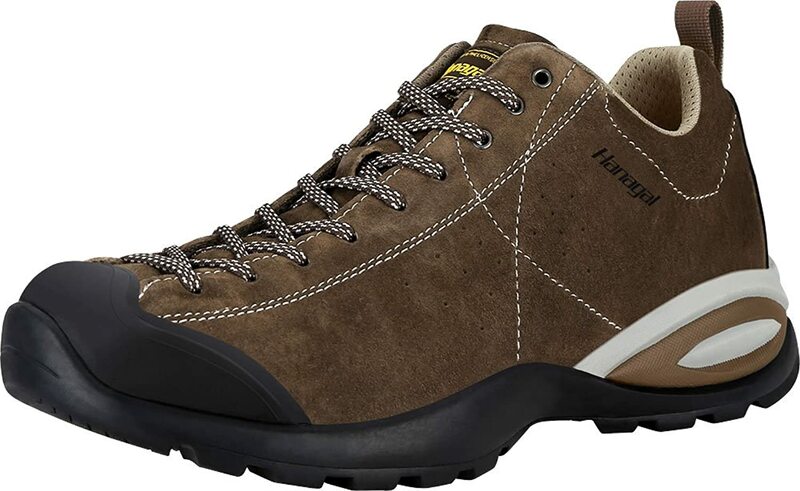 If you are the adventurous type of person yet suffering from plantar fasciitis lately, then this shoe is made to let you enjoy your adventures without thinking of pain at all! Likewise, you will feel an optimum lightweight construction and comfort regardless of the intense activity you’ll engage. The upper of this shoe is made with soft leather which leads to an enhanced durability and flexibility. Also, it is equipped with rubber toe bumper to prevent rapid abrasion. Whether you are on trails or just walk around the city, you are well-protected from obstacles posing risk for shoe abrasion. To satisfy the needs of people with plantar fasciitis, this shoe is designed with an elevated heel for arch support. On top of this, other foot to heel pain issues might be relieved by this shoe. The shoe outsole is made with sticky rubber which promotes traction on wet and dry surfaces. The midsole of this shoe is made with EVA (ethylene vinyl acetate) which promotes admirable cushioning. The footbed of this shoe is made with POLIYOU® foam which promotes comfort, breathability, moisture absorption, and odor repulsion. For the sake of style, Hanagal includes an extra pair of shoelaces to suit your preference. The laces reach up to the toe which allows customized yet snug fit, especially for hiking activities. 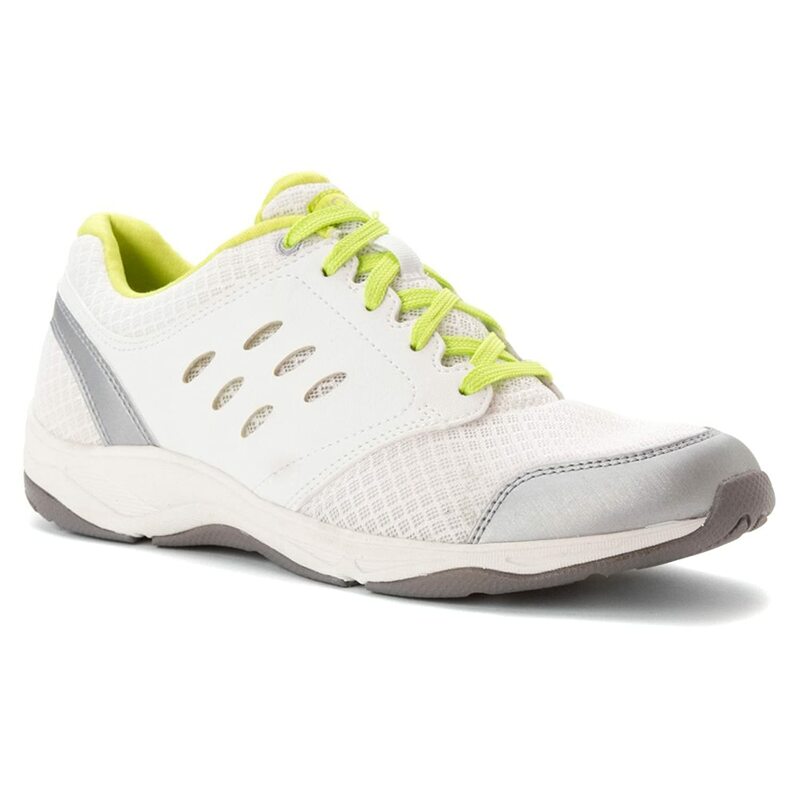 Without sacrificing a sporty look, Vionic engineered this shoe to provide comfort and breathability on all your steps. 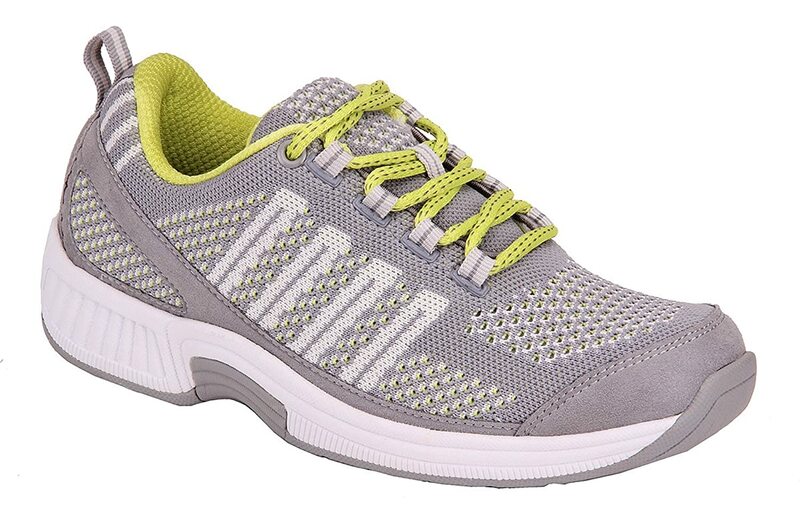 Walking will be painless yet feel sporty through Vionic Venture Active Sneakers. Man-made products usually result in a great quality. Thus, Vionic integrates a man-made overlay to this shoe. When this man-made overlay is paired with the engineered mesh, it results to a breathable upper to maintain your feet being dry and cool throughout your use of this shoe. Comfort is also assured with these materials for you to exert confidence while you are moving. Whether you use this for work, play, or casual activities, your feet receives enough support to keep you going. The AMS Technology found in this shoe incorporates a lightweight upper, breathable textile upper, and flexible midsole cushion. A podiatrist cautiously designed this shoe to obtain a Seal of Acceptance from American Podiatric Medical Association (APMA). This seal certifies this shoe for promoted foot health through a strict review by a group of podiatrists. This shoe features a removable EVA (ethylene vinyl acetate) footbed with the 1st Ray Flexor Zone™ technology. Aside from the comfort provided by EVA, 1st Ray Flexor Zone™ technology enhances your natural gait and the mobility of your forefoot. The outsole is composed of durable rubber to enhance your traction to the ground further. As a benefit of using rubber outsoles, you won’t experience solid impact sounds while you’re walking. Runners mark this shoe as a great choice due to the enhancement of ground perception through a 30mm heel height. Also, the use of a full-length crash pad significantly improves the shock absorption regardless of any surface a runner goes. The mesh of the uppers is well-engineered to guarantee breathability, flexibility, and support. Also, a completely seamless design contributes to a refined design for this shoe. With this design, hot spots and blisters are prevented despite the intense running activity. Comfort is also assured as the uppers use plush fabric lining. So people with plantar fasciitis will find joy with the comfortable support of this shoe. Your steps are well-adapted dynamically through the BioMoGo DNA injected on the midsole. You will also experience a smooth heel-to-toe transition. Moreover, the introduction of a full-length crash pad contributes to a proper cushioning and shock absorption. If you are a runner who is determined to go on a high mileage, you will find this shoe beneficial for your passion. Brooks incorporates an Omega Flex Grooves for the outsole. Omega Flex Grooves makes the outsole flexible to give you a smoother ride. Carbon rubber and blown rubber are intricately used on the different parts of the outsole which promises better traction while a light cushioning is maintained. 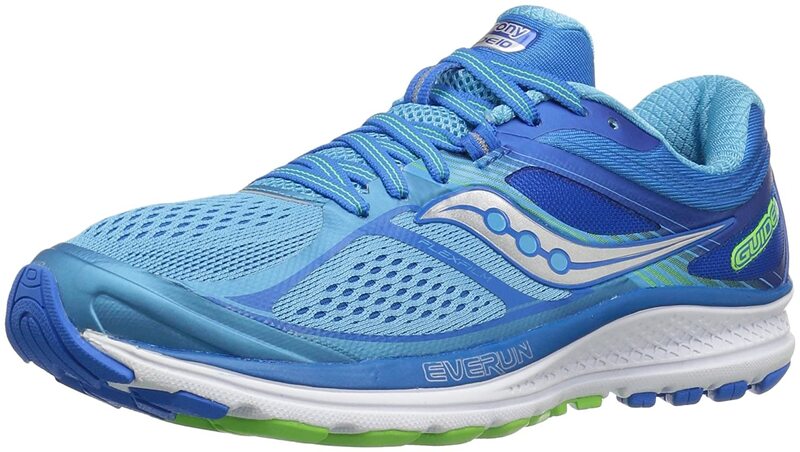 Saucony offers an ideal running experience through this Guide 30 running shoes. You will experience a stabilized run and you may even go faster with this shoe. If you are a moderate pronator, this shoe is also designed for you. The meshed upper of this shoes is engineered to adapt your foot structure. Paired with RunDry technology, breathability is optimized to ensure a cool and dry running experience. The upper remains to be lightweight along with a well-structured and well-supported delivery through the FLEXFILM overlay. While the upper is constructed, it undergoes heat induction to prevent irritation for your feet without a significant increase in shoe weight. The Everun technology injected on the midsole creates a springier and more resilient motion. Together with ethylene vinyl acetate (EVA) cushioning, you will experience an enhanced transition and stability as you run. The mixture of these materials results to a durable midsole without sacrificing the lightweight attribute of this shoe. If you seek for a great ground contact and optimized flexibility, the Saucony’s unique Tri-flex outsole satisfies your need. Each time your foot lands on the ground, the impact is dispersed. Also, you will experience a smoother transition in your gait cycle. Additionally, Saucony uses IBR+ rubber on the forefoot and midfoot part of the outsole for you to experience better traction. 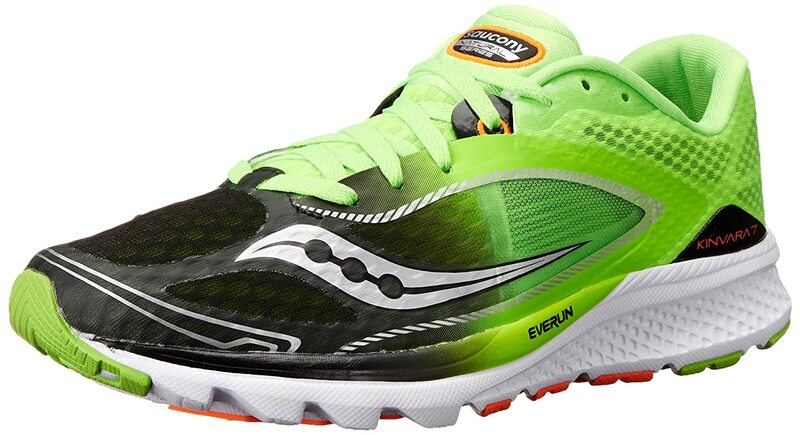 For the other parts of the outsole, Saucony uses carbon rubber to the wear resistance and tear resistance. If you need superior comfort for your feet, and if you are experiencing plantar fasciitis, then the Coral Sneakers of Orthofeet might help you with your foot pains. Maximum protection is ensured through a stretchable non-binding fit of the seamless uppers. Every movement of your toe is tolerated. Thus, you will receive optimum protection against pressure points. Through the orthotic support engineered for Orthofeet shoes, your will experience a soothing effect on every step you take. The insoles are anatomically and ergonomically designed to support and cushion your feet well. Also, foot pain is relieved with the orthotic support which is significant if you have plantar fasciitis. Orthofeet adds their Ergonomic-Stride™ design on the cushioning of the sole. Your natural gait will be assisted and all your steps will be smoother. As you propel towards your walking journey, this shoe will assist you to comfort through proper support. Your current shoes might give you extra pain through blisters. So Orthofeet provides a solution through a protective interior lining. Paired with the non-binding fit of the uppers and foam pads, your blister-prone spots will receive less pressure. Less pressure leads to reduced friction against skin. Thus, blisters must not give you a nightmare with this shoe. If you frequently experience wrong fits from an online shoe market, then Orthofeet solves the problem by providing two sets of removable spacers: 1/16” and 1/8” thick. Just choose the one you need in case you’ll receive a set of misfit shoes. Therafit aims for optimal support and cushioning when designing their products. They also aim to deliver reliable comfort, protection, and pain relief as you use their products. 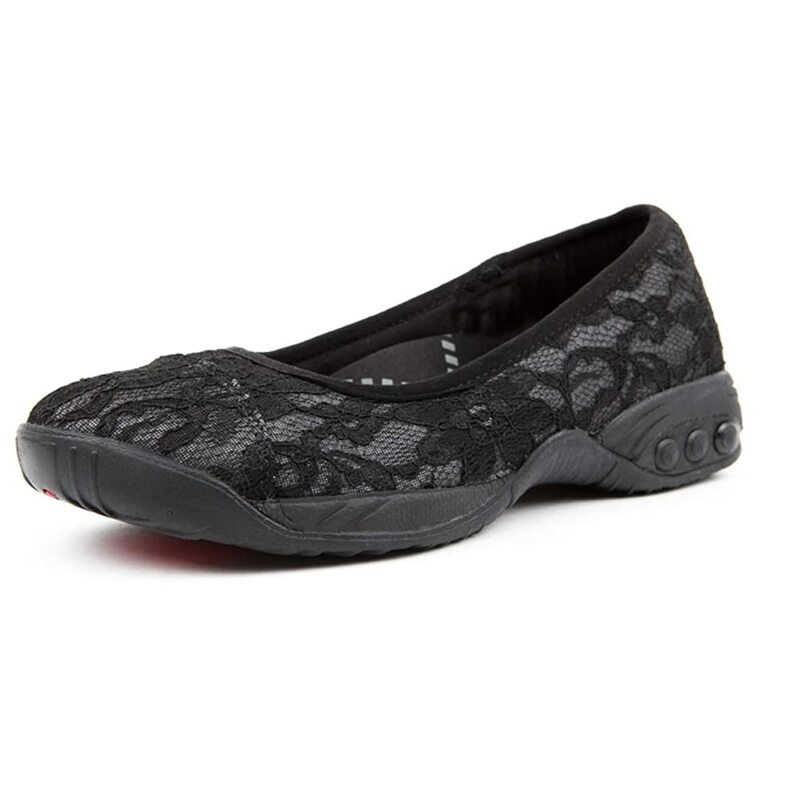 Coco Fabric Shoes seems to be fashionable, yet it also relieves your foot problems including plantar fasciitis. If you suffer from plantar fasciitis, you will enjoy using this shoe in a pain-free fashion. 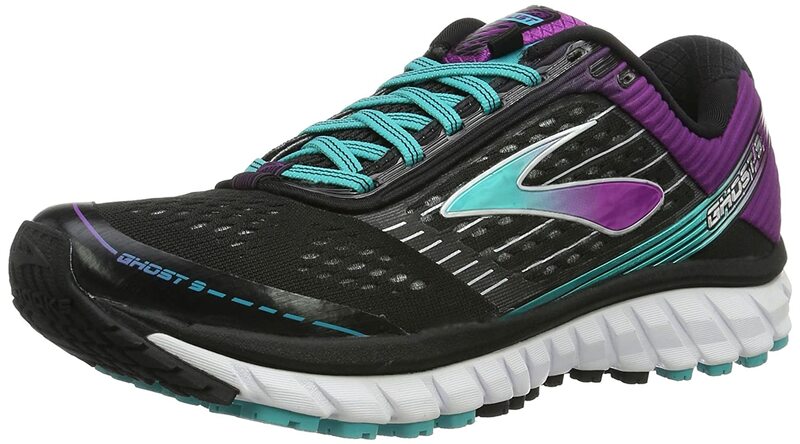 Therafit utilizes their patented 7-layer Personalized Comfort System on this shoe. This system delivers superior arch support, enough room for your toe box, and sufficient pads for your cushion needs. If you choose to use this for a long duration, this shoe will survive without undesired foot pains. This shoe receives a Seal of Acceptance from American Podiatric Medical Association (APMA). Thus, it proves to be beneficial for your foot health. Furthermore, this shoe is designed by people with National Posture Institute (NPI) certification. When an individual has this certification, they are well educated by NPI about posture and body alignment. Thus, your posture is a great concern by Therafit. To prevent smelly feet, this shoe utilizes the Aegis Microbe Shield treatment. Every odor-causing bacteria and molds are evenly prevented. When it comes to design aesthetics, this shoe uses removable cushioned insoles to increase protection and comfort. Also, it uses rubber outsole for durability and enhanced traction. Lastly, this shoe is properly constructed to let your feet slip easily when you wear it. You might find this shoe appealing through its lace fabric uppers. Flower patterns are embroidered on the uppers. 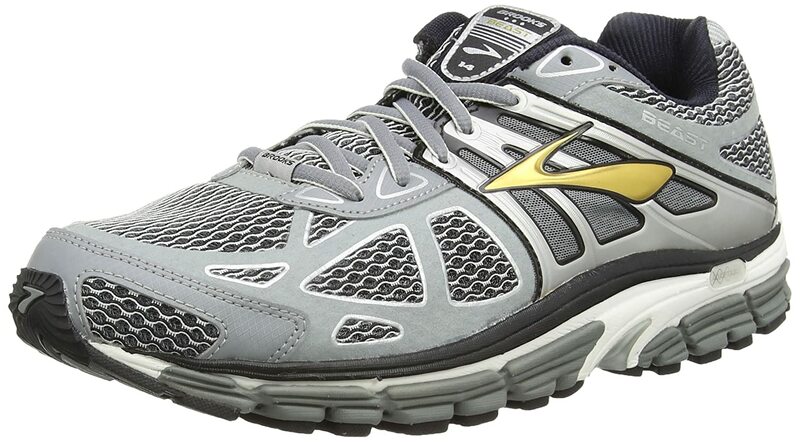 You might have tried Mizuno’s Wave Rider before. In this 20th iteration, they are inspired with their tagline “Running is hard, riding is smooth”. People with plantar fasciitis who loves to run hard will experience a smoother and pain-free ride with this shoe. Triple Zone mesh refers to a technology injected on the uppers. 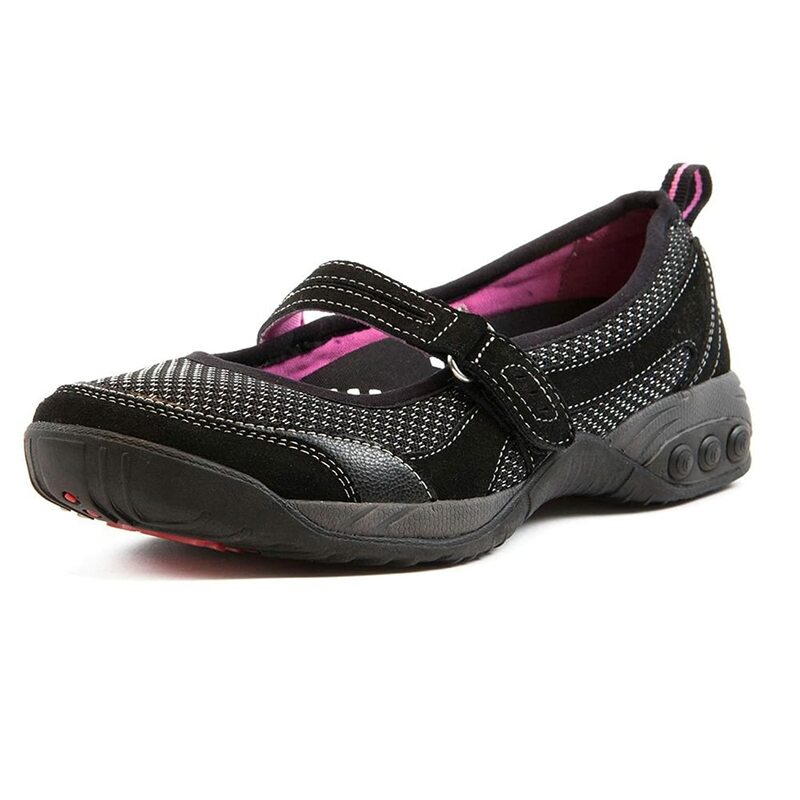 It delivers breathability and secures a snug fit of your foot. Despite the snug fit, the technology is optimized to prevent skin irritation. When it comes to motion concerns, the uppers integrate the Mizuno Dynamotion Fit. The material is stretchable which continuously adapts to your motion cycle. Slight changes in foot shapes are catered while you are moving. The heel area on the midsole utilizes the U4icX technology. Aside from being lightweight, it cushions your landings and absorbs every shock the shoe receives. From the rear to the mid-foot section of the midsole, Mizuno Wave Plate is optimized. It is an elastic material which delivers enough bounce as you move yet cushioning is increased. To make your motion smoother, Smooth Ride technology is used to enhance heel-to-toe transition. Lastly, the linings are made of Ortholite Sock for additional cushioning, antimicrobial, and anti-moisture properties. The outsole of Wave Rider 20 utilizes a high-quality rubber compound. It is placed in the heel section of the outsole which delivers improved traction, impact protection, and anti-abrasion. Also, blown rubber is utilized in the forefoot section of the outsole. The material is responsive enough to provide cushioning and flexibility for your feet. K-Swiss describes the addition of this shoe to the Bigshot series with these three words. They carefully designed this shoe to enhance ground perception. Upon increase of ground perception, you will easily pursue stability regardless of how fast you move. If you are a tennis player yet plantar fasciitis is holding you back, then you must take delight with this shoe. You deserve the best of your game. Nothing beats the quality of a man-made product. Even machines can’t compete with the quality ensured by a man’s hands. 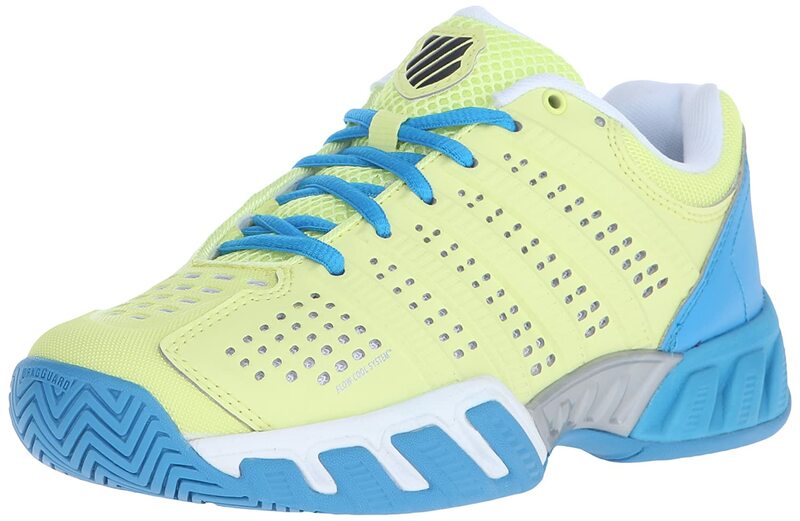 Thus, K-Swiss is proud with its man-made shoes, including Bigshot Light Tennis Shoes. The outsole of this shoe is made of rubber to enhance ground traction and impact dispersion. Also, it utilizes the K-Swiss Aosta 7.0 Rubber Shoe Technology to provide a supreme durability from heel to toe. Further protection against wear is delivered with DuraWrap Light technology. The midsole is made of EVA (ethylene vinyl acetate) to provide maximum cushioning for comfort despite the shock the shoe receives. To further stabilize and support your mid-foot, this shoe utilizes the Rigid 180° thermal plastic Plantar Support Chassis – an added good news if you are suffering from plantar fasciitis. Also, the lining incorporates the DRI-LEX technology to keep your feet away from irritating moisture. For fun facts sake, DRI-LEX technology is a commonly used when manufacturing cowboy hats. Orthofeet’s unique Tie-Less Lacing System is also incorporated in their Tahoe Athletic shoes. You don’t need to do such usual knot-tying. Instead, you are presented with hook and loop strap. Along with the tie-less lace, a two-way strap system is utilized on both sides of the shoes to help you adjust the strap easily. This will surely ease adjustability for your preferred fit. Orthotics has been the primary consideration of Orthofeet. So you must expect this shoe to offer pain relief, especially if you are suffering from plantar fasciitis. This shoe uses Orthofeet Gel Insole to further enhance the shock absorption which increases support and comfort for your feet. It is designed with an arch support, deep heel cup, gel pads, and soft foams which primarily aims to kill unwanted foot pains. Some athletes suffer from smelly feet. So Orthofeet brings the solution through the Dryplex™ fabric and PolyU™ foam. These technologies provide an anti-microbial solution on the insoles. Aside from foot odors, you will also get rid of disturbing foot moisture. Athletes find comfort on cool and dry feet despite the intense activity. To further contribute comfort and lightweight sensation, Orthofeet integrates its Ergonomic Stride technology. All your steps are softened whilst propelling gets lighter. 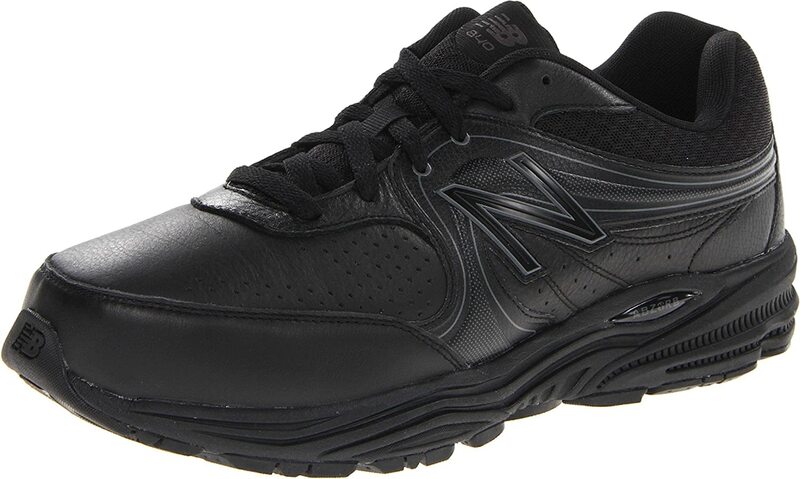 Overall, this shoe ensures a comfortable fit as it promises non-binding upper. Pressure hotspots receive less impact to prevent the formation of blisters in a long period of usage. 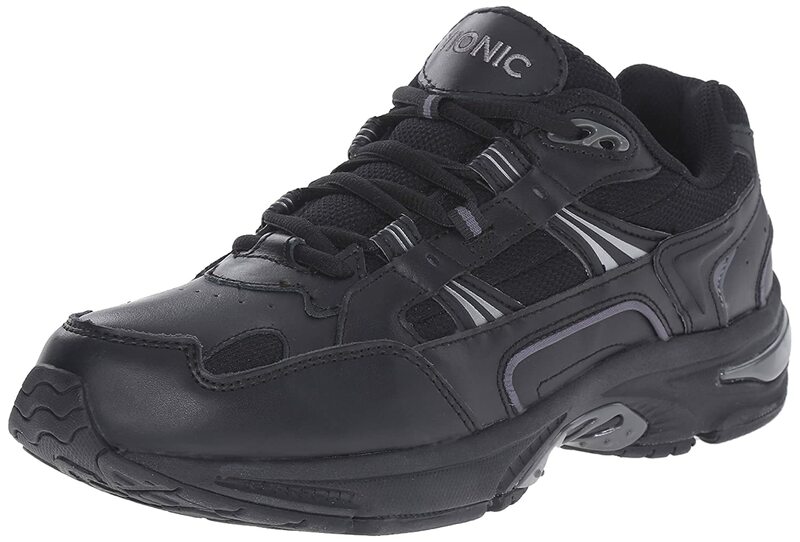 Vionic Walker Classic Shoes is the female counterpart of Vionic Men’s Walker Shoes. Still, both shoes cater the renowned Orthaheel Technology by Vionic. With Vionic Walker Classic, you will receive maximum comfort and support regardless of the period of time you spend walking. The Active Motion System (AMS) Technology further enhances support, stability, and comfort for your walking activities. AMS Technology refers to a mixture of careful design by a podiatrist. The uppers must be lightweight and breathable. The midsole cushion must be flexible also. A podiatrist always aims for Seal of Acceptance from American Podiatric Medical Association (APMA) when designing shoes. Thankfully, this shoe receives the Seal of Acceptance which proves the promotion of foot health when using this shoe. If you have plantar fasciitis, this shoe might be a ﻿g﻿﻿ood ch﻿﻿oice. Walking in the rain will be more enjoyable through the premium full-grain leather fused on the uppers. This material increases the water resistance of this shoe. So far, full-grain leather is voted as the tightest, strongest, and most durable among the leather family. For sure, you hate the warm yet wet feeling when wearing shoes for a long time. Vionic brings the solution through a polyester mesh on the liners of this shoe. Breathability and moisture-wicking properties are brought by this mesh. Friction against skin usually forms blisters on the long run. Thus, the base of this shoe uses polyurethane foam to prevent such problem. To prevent unwanted foot odor, the top cloth controls the foot odor as it is biomechanically designed to prevent the formation of odor-causing bacteria. The heel counter of this shoe utilizes firm thermoplastic materials. This, in turn, increases stability and support on your feet. This material is known to increase strength, performance, and flexibility of products without forsaking its lightweight goal. To enhance the traction, the outsole uses a durable rubber. Optimal support and cushioning is one of Therafit’s consideration on product designs. Reliable comfort, protection, and pain relief are their goals. Mary Jane 2.0 has a sporty twist on a classic style, yet it provides relief for foot problems including plantar fasciitis. This shoe uses the patented 7-layer Personalized Comfort System of Therafit. It satisfies your cushion needs while providing room for your toes to move. For long-term usage, your foot will not suffer from pains anymore through its superior arch support. Quality is assured with this shoe through the Seal of Acceptance from American Podiatric Medical Association (APMA) and National Posture Institute (NPI) certification for the shoe designers. This shoe proves to promote foot health and maintains your posture and natural body alignment. Smelly feet will never be pleasant. Thus, Therafit puts a solution through Aegis Microbe Shield treatment. Odor-causing bacteria and even molds are repelled from this shoe. Considering the design construction of this shoe, removable cushioned insoles are used for enhanced foot protection and comfort. In addition, durability and traction are assured through rubber outsoles. Also, the mesh upper takes advantage of suede leather materials which provide the delicate and sporty look. Lastly, this shoe has an adjustable strap to ensure a comfortable fit as you wear it. 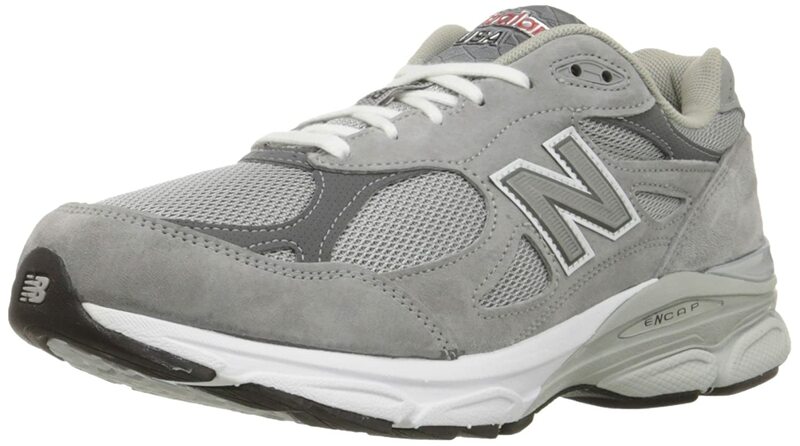 Brought to you by a leading manufacturer that has been in business for many decades, the New Balance 990v3 is well worth checking out. This particular unisex model is available in several styles. The New Balance 990v3 can help athletes who suffer from plantar fasciitis through its main feature: a dual-density collar with soft density foam that gives a unique combination for your feet. The soft foam acts as cushioning while the firm foam gives support. The overall design balanced, flexible movements along with supreme comfort. You can run without feeling the pain due to plantar fasciitis. ASICS is one of the leading brands that you can trust for your sports equipment. Of course, athletes being prone to certain foot conditions, they also have specific pair of shoes to address specific foot problems that they encounter. The Kayano 21, a pair of running shoes for both men and women, is more than up to the job. Previous versions of this model addressed plantar fasciitis, and this attention to detail s further improved with the latest Kayano 21. With Kayano 21, you can choose from 18 different designs. This should offer plenty of options for every taste. The FluidFit upper technology has multi-directional stretch mesh with stretch reinforcements for a comfortable and snug fit regardless of foot type. The FluidRide brings perfect cushioning for strenuous activities. You can run and perform exercises without feeling any discomfort. 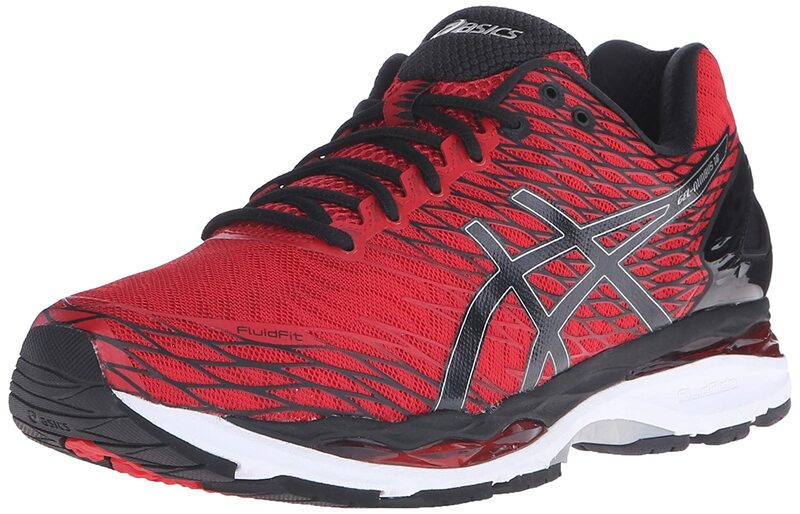 These ASICS have a DuoMax system that enhances overall support and stability through their lightweight platform support. When it comes to sports running shoes, Brooks have been in the business a long time. As well as producing pure sports shoes, they also foot conditions that common athletes may suffer from. 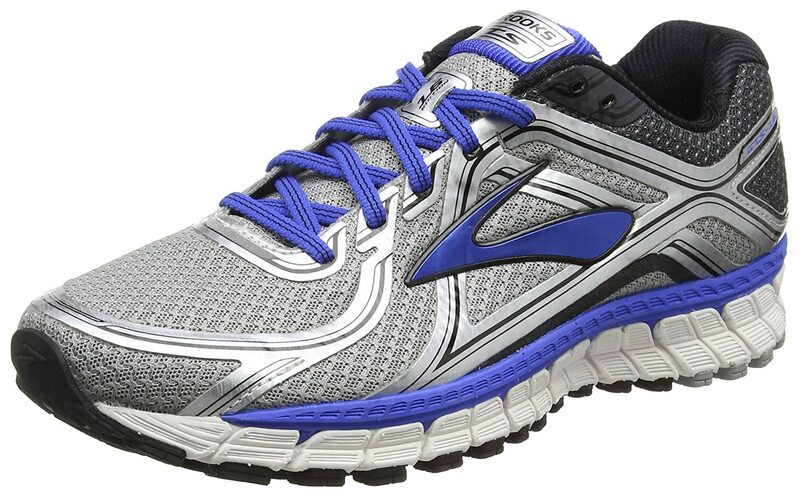 The Adrenaline GTS model line by Brooks is considered to be their most popular product line. The arch and heel support are particularly beneficial when you have plantar fasciitis. These running shoes are unisex. The Extended Caterpillar Crash Pad permits full and heel-to-toe cushioning. HPR Plus makes the shoes last longer on the high-wear areas of the outsole. There are also Omega Flex Grooves for natural foot movement. The GTS 15 is equipped with a BioMoGo DNA midsole that offers ample cushioning. The Progressive Diagonal Rollbar provides better control than other common brands. 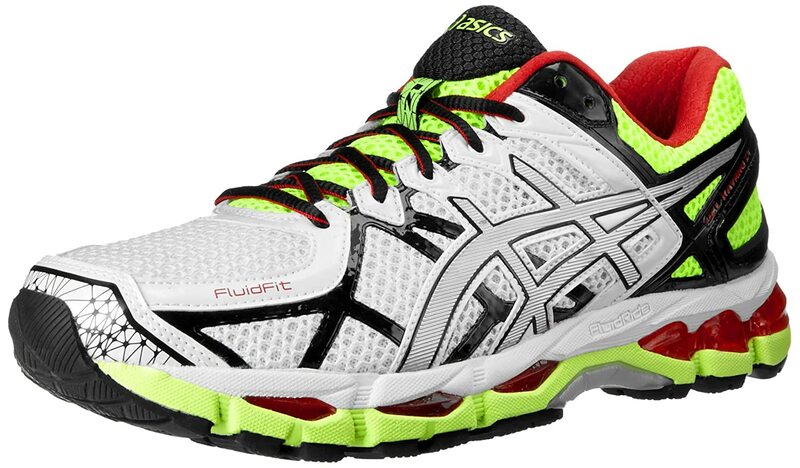 ASICS is one of the most trusted brands by consumers when it comes to sporting goods. Running, of course, is an active sport and without proper gear, you can end up experiencing plantar fasciitis and other foot conditions. This model, the GT 2000 4, is a good choice because of its high abrasion rubber and durability making it great for even long, challenging races. ASICS is responsible for some really innovative technology. Dynamic DuoMax provides the necessary support at the heels and balls of the foot so you won’t feel pain even if you have plantar fasciitis. This technology allows you to control your o﻿﻿﻿﻿verpro﻿﻿nation. ASICS’s Impact Guidance System enhances the shoe’s stability and performance through linked componentry. The Guidance Trusstic System for GT 2000 4 improves stride efficiency, reduces the weight of the shoes, control overpronation, and strengthens the arch. The midsole area of the shoe has a FluidRide system for comfort, and there are Comfort Dry sock liners with anti-bacterial material for guaranteed dryness of the feet. 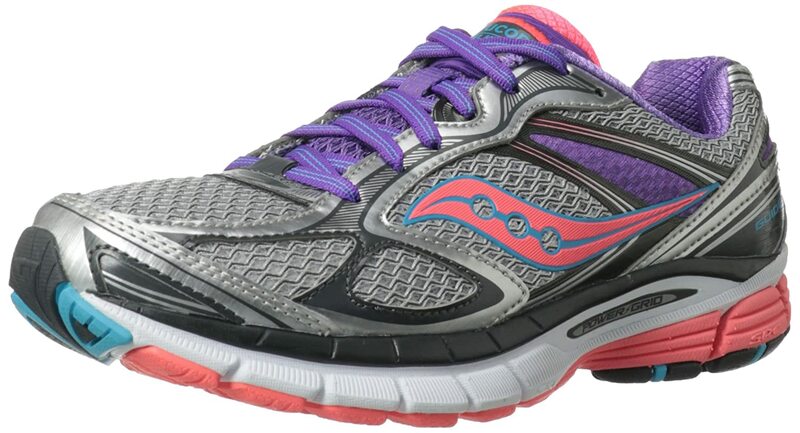 Saucony make shoes for casual and sports wear. People with plantar fasciitis have found relief with the Guide 7 and this model is the workhorse of the brand. It’s great for plantar fasciitis sufferers and also caters to overpronators and those with other specific foot conditions. Its ComfortLite sock cradles the heel and gives great arch support. The Guide 7 has SSL Impact Zone protection giving strength and durability in the shoes’ high-wear areas. SRC crash pads are fully decoupled with impact resistance at the heel. The flexibility and responsiveness of the shoes is first rate. The Nimbus series from ASICS is one of their bestsellers. 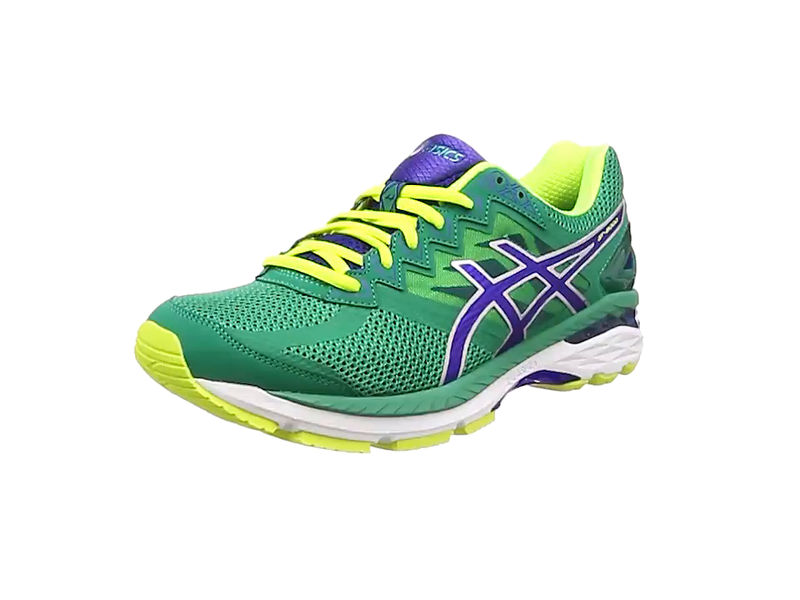 With fully-equipped GEL technology, you get extreme cushioning with improved adaptability. This pair of shoes for men and women is available in different colors and styles. ASICS use high abrasion rubber for the outsole to induce supreme durability while retaining softness with the cushioning and also some flexibility. FluidRide technology helps with this. A Guidance Trusstic System on the Nimbus 18 improves stride efficiency, reduces the weight of the shoes, controls overpronation, and improves overall support. The Heel Clutching System means that there’s a plastic heel clutch that sets your foot in place. FluidRide technology, in common with most ASICS shoes, is also featured on the Nimbus 18. This makes you feel like you’re wearing extra socks on the upper part of your foot. 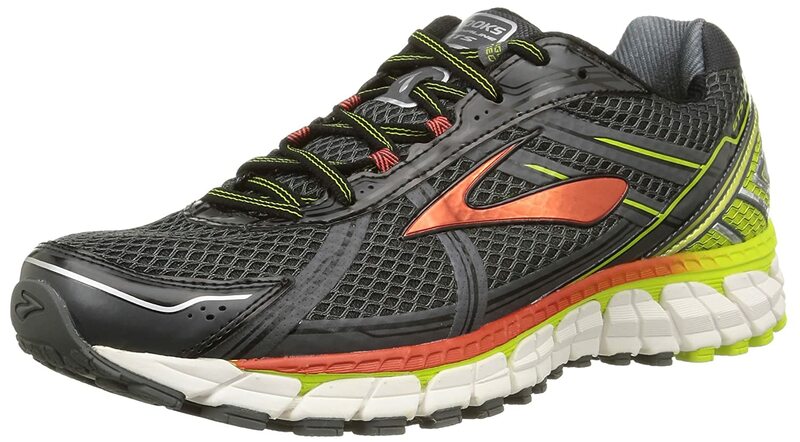 Brooks is famous for running shoes that suit different types of athletes. Included on that list are athletes with foot conditions like plantar fasciitis, overpronation or flat feet. The Brooks Beast 14 is a bestseller with the tag line “unleash the fury of the beast.” These shoes work well for people with severe overpronation and offer the best support and stability you could ask for. Promising a comfortable and close fit, the Beast 14 incorporates BioMoGo cushioning and platform comfort. Proprietary HPR Green rubber material that has great traction and makes the shoes slip-resistant. There is also more HPR Plus rubber placed in the heel that adds to the durability. Flextra rubber provides the right amount of flexibility. The Progressive Diagonal Rollbar serves as tri-density foam for runners who experience overpronation and flat feet. The midsole part has DNA cushioning gel that reacts in real-time according to your movement, pace and characteristics. The Segment Crash Pad has the right amount of cushioning to promote shock absorption and smooth heel-to-toe transition. Saucony shoes are great for a range of needs. Running with plantar fasciitis wearing shoes such as the Kinvara 4 will give you a comfortable experience. The main features are the Flex Film and HydraMAX. Flex Film is the upper material that holds its own distinct pattern. The material stretches depending on how wide the foot is. You can go running without even wearing socks! The Kinvara 4 also has Saucony’s PowerGrid technology that focuses on centering the foot in order to reduce the impact and absorb shock. 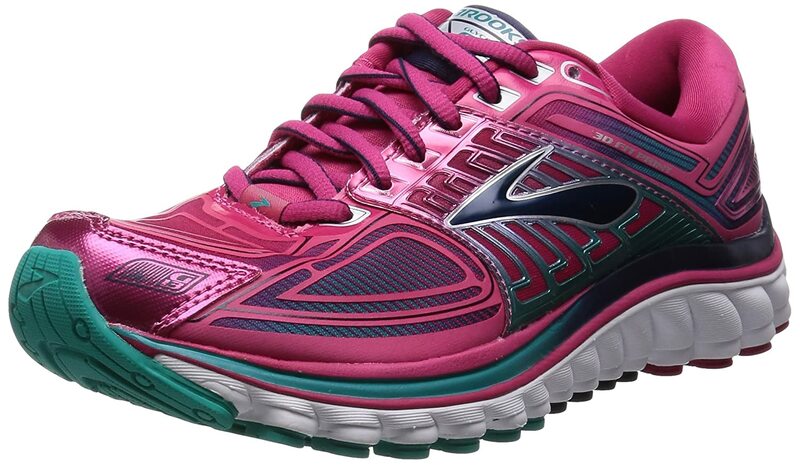 Brooks’ bestsellers include the Glycerin 11. 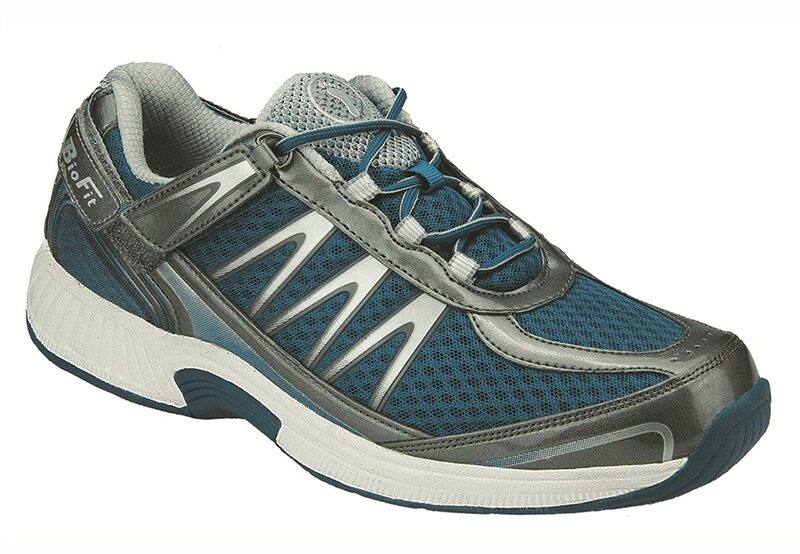 These running shoes have ample cushioning and are appropriate for high-arched runners or anyone with plantar fasciitis. Every stride is made comfortable and smooth for people with foot conditions. In fact, this pair of shoes is not only great for running but also for daily fitness activities. The main feature of the Glycerin 11 is its great cushioning thanks to the DNA cushioning. It stimulates shock absorption and is very responsive to your movements. The soft shoe liner inside feels fantastic and you won’t need socks. As for the outsole, the rubber material is hard while the forefront is somewhat on the soft side. It is said the entirety of the outsole is made possible with the caterpillar crash pad. Glycerin 11 is a mid-weight shoe. For durability, Brooks also included Omega Grooves on the outside that increase flexibility. 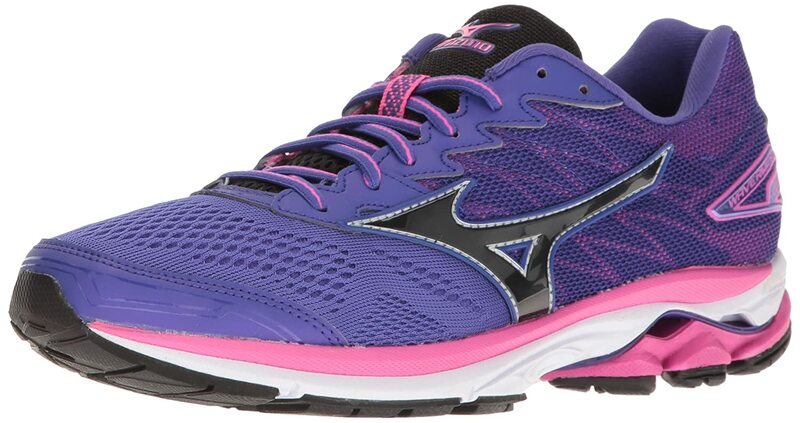 Last on the list are these running shoes from Mizuno. Mizuno Corporation has been providing shoes for different sports types since 1906. They are highly respected as veterans in the shoe industry. 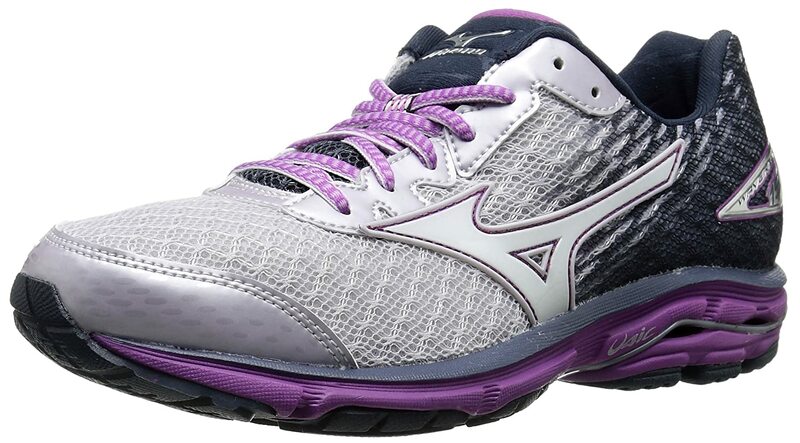 People who have plantar fasciitis, flat feet, and other foot conditions should check out Mizuno shoes for a blast of comfort without breaking the bank. The Wave Rider 19 comes in many different styles and colors. Its main feature is rugged durability thanks to the high quality rubber outsole called X10. The cushioned inner strides help restrain the feet from the pulling sensation that can occur due to changing directions or abruptly stopping. The midsole area is made out of U4icX and EVA foam rubber which is strong and comfortable. The following tips will help you when choosing the right running shoes for relieving plantar fasciitis. The best time to shop for shoes is in the afternoon or after your walking/running/athletic activity. Your foot expands as the day goes on. It may not be noticeable, but it has a significant effect when you are wearing your shoes. Comfort must be delivered on first use. There’s a principle where your shoes adapt to your feet as time goes on. But for plantar fasciitis’ case, the pain might be worse when you hold on to this principle. Different purpose means different considerations. If you are looking for best running shoes, your primary concern should be about the extra cushioning on the forefeet. For walking shoes, you must focus shock absorption. For tennis shoes, you need a sturdy ankle support. Generally, shoes for plantar fasciitis relief absorb shock upon impact. Also, your feet must be stabilized and must be aligned properly with your body. Foot health, posture, and alignment must be your considerations. Also, lightweight yet sturdy shoes give an advantage for your foot pain issues. To make it more precise, here is a list of considerations you need to keep in mind while buying shoes for plantar fasciitis. When you are standing all day or walking a lot at work, you must choose a shoe with a stiff outsole. Try holding the both ends of the shoe then twist it. When it easily bends, the shoe is not commendable for pain relief. Thus, the outsole must not move much when you twist it. Shoes with adequate support for plantar fasciitis must have a proper cushioning. The midsole of the shoes must be thick and well-padded. When the arch support is too rigid, it will just worsen your foot pain. However, it must not bend easily. You must carefully analyze a good balance of the midsoles, especially on the arch. Speaking about Biology, Achilles tendon or heel cord is attached to the heel bone. Plantar fascia connects the heel bone to the toes. If your feet is misaligned to your body, there’s a tendency of increased pressure to the Achilles tendon. Increasing the pressure on the Achilles tendon affects the plantar fascia. This is one of the contributors to plantar fasciitis. Since people have varied arches, you must find the right arch support for you. ​If you have a high arch or medium arch, neutral arch support is good for you. If you have a normal arch, you need shoes for over pronation or stability. If you have flat feet, you need shoes for severe over pronation or shoes with motion control. If you have doubts regarding your arches, try the ones with neutral support to avoid injuries. Then you can assess as time passes by if you need more arch support. The toe box must be sturdy and inflexible. Try holding the both ends of the shoes then fold it up. The shoe is good for plantar fasciitis if the toe box bends only a little while the rest of the shoe remains firm. In every product that we see, there are many deciding factors we consider before buying. We want to get the right solution for the problem. If you’ve got plantar fasciitis, this decision becomes even more complicated. This is the main factor that you need to look out in every shoe if you want to alleviate the pain caused by your foot condition. Especially with plantar fasciitis, the pain comes on the midfoot and close to the heel. In fact, people with plantar fasciitis have a hard time walking barefoot because their arches are inflamed. This is also important dependent upon the activity. Of course, since you go running, every stride should be cushioned so that plantar fasciitis can be contained for the duration of your training. Shock absorption is also important for heavy people as more weight is focused below the knees. With shock absorption, the impact is spread and not focused on one particular part, making it more bearable. Fit is important when you buy any type of shoes. You want them to feel just right. For people with plantar fasciitis, it is more critical than ever because you need to secure your foot properly with the cushioning inside so as not to cause further damage. Also, your feet swell throughout the day, especially after a run, so make sure your fitting takes that into consideration. Any person doing rigorous activity needs proper cushioning for the feet. This is because you need to be comfortable in your shoes to properly execute the activity. For people with plantar fasciitis, aside from being able to focus, they need to have ample cushioning for their feet so as not to worsen the problem. One thing for people with foot conditions to avoid is buying shoes that are too soft. Soft shoes are too flexible and will not provide any support to your plantar fascia because there’s no rigidity for arch support. Heel support is an important factor to look for running shoes if you have plantar fasciitis. Heel pains are common with this condition because the plantar fascia is located near the heel. The heel must be cupped and supported throughout. Midsole stability makes sense to consider in running shoes with lesser pressure placed on the heel. Toe boxes that bend too much are a no-no if you have plantar fasciitis. Firm toe boxes are a must to reduce the toe extension that happens leading to an increase in pressure on your plantar fascia. Without a doubt, price is the last deciding factor for most people who are on a budget. But think of it this way. With a slightly more expensive pair of running shoes, you can treat your plantar fasciitis without fearing for the durability of the sneakers. Cheap shoes tend to be of low quality and will last only a few months. Running demands good sporting gear, particularly when it comes to shoes. In short, you get what you paid for. Summarizing all of the running shoes listed above, it’s important that you check the best running shoes for plantar fasciitis that offer ankle support, arch support, and heel support. There should be a balance between comfort and support to lessen the pain caused by plantar fasciitis. It’s also important to purchase a pair that corresponds with your running activity, frequency and preferred terrain. Don’t hesitate to get in touch if you have any queries or feedback at all. We are always happy to help.